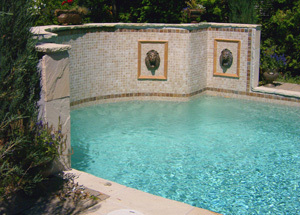 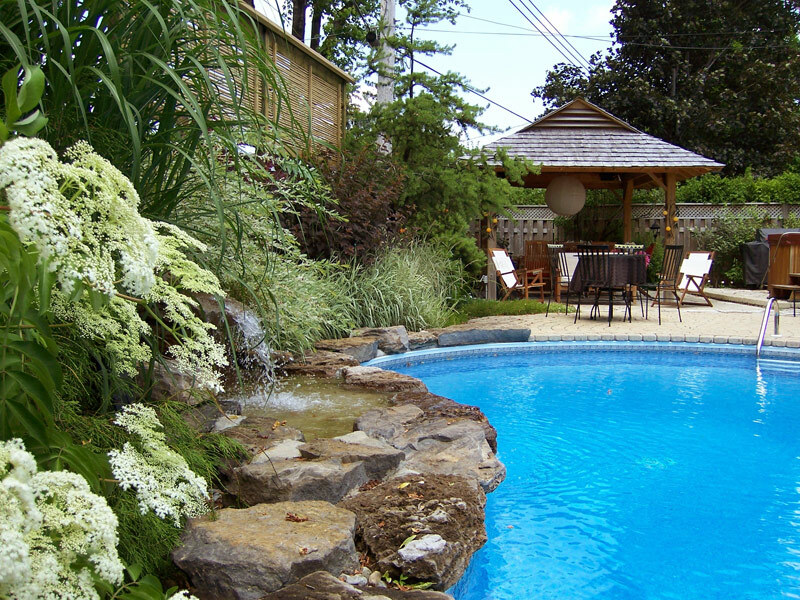 Welcome to our custom swimming pool design that transforms a plain backyard into a beautiful backyard getaway. 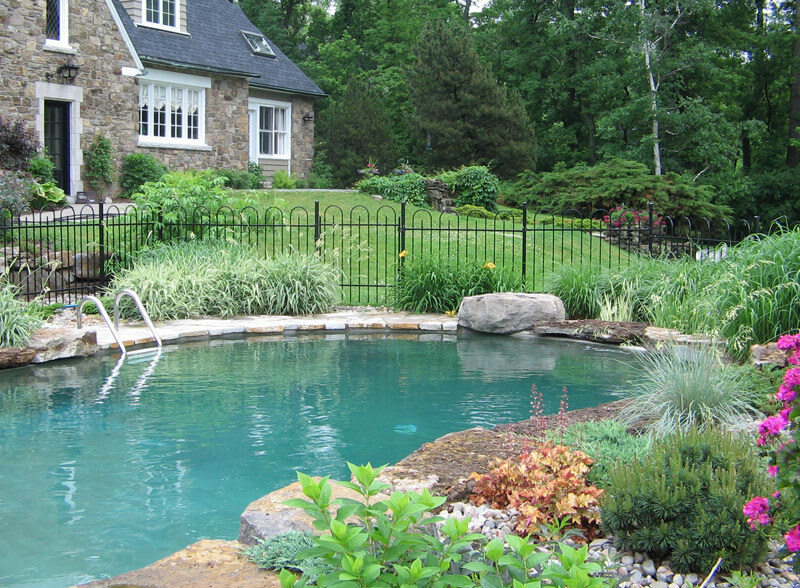 Like a magic mirror in your backyard a swimming pool reflects the moods of the sky. 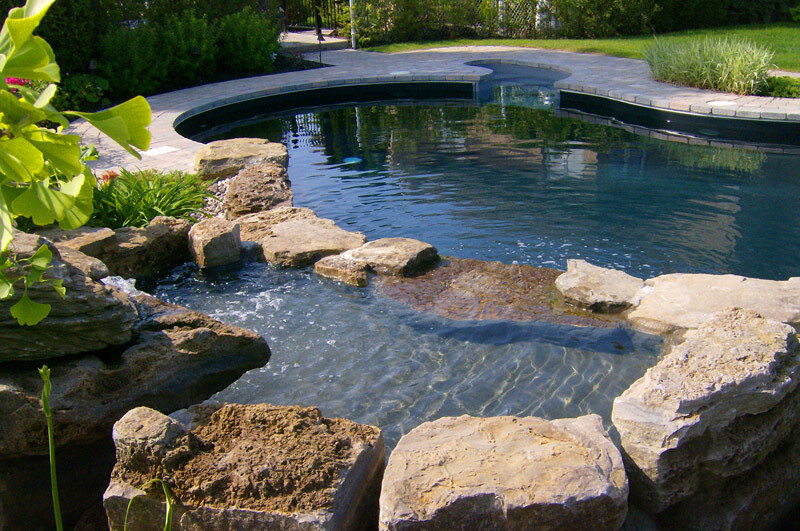 During hot summer days this artificial basin allows certain activities like water games, relaxation or refreshment. 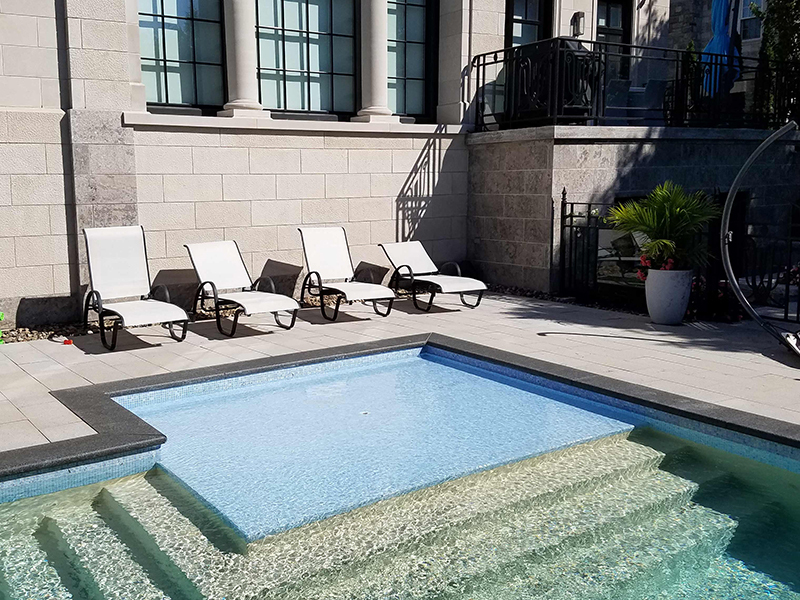 Relatively big area of a swimming pool dominates the back yard and encourages us to create different ambiances around: classic or contemporary. 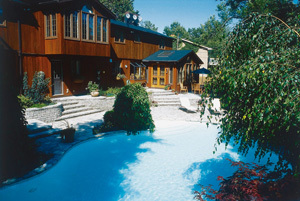 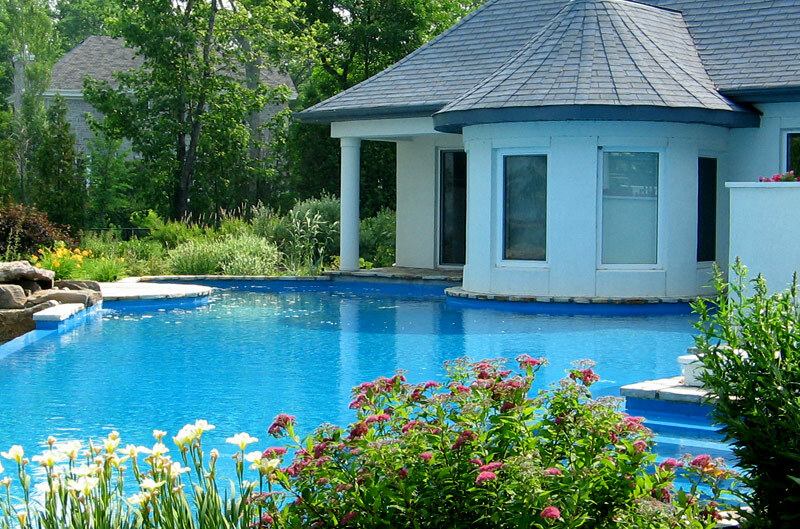 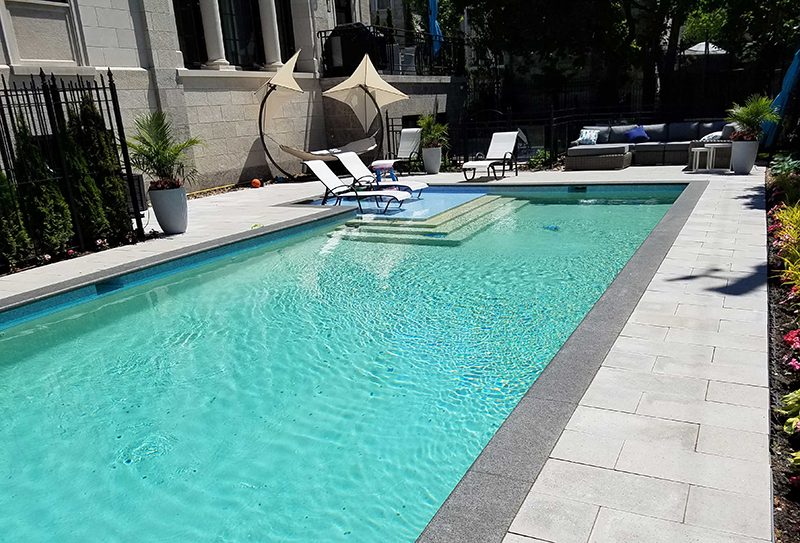 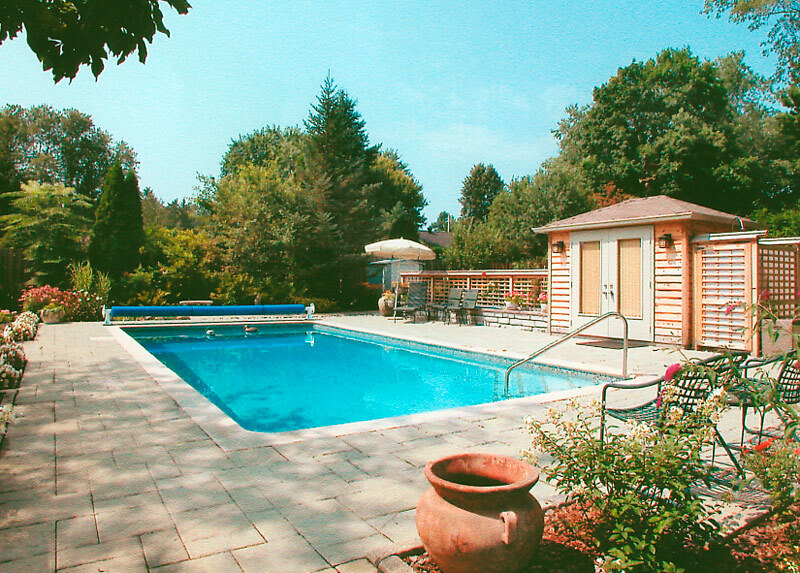 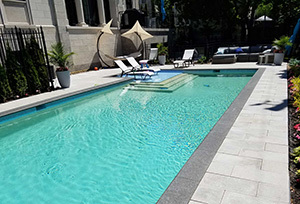 Montreal Swimming Pool Landscaping, Swimming Pools Landscape Design.